Director/Screenplay – Michael J. Bassett, Based on the Short Stories by Robert E. Howard, Producers – Paul Berrow & Samuel Hadida, Photography – Dan Laustsen, Music – Klaus Badelt, Visual Effects Supervisor – Gary Beach, Visual Effects – Baseblack Ltd (Supervisor – Donal Nolan), Beach VFX, Buf (Supervisor – Laurens Ehrmann), Dragon DI, Lipsync Post (Supervisor – Andy Morley), Man-From-Mars (Supervisor – Simon Carr) & Tim Walton, Special Effects Supervisors – Flash Barrandov & Pavel Sagner, Makeup Effects/Animatronics – Paul Jones, Makeup Designer – Paul Pattison, Creature Designer – Tatopoulos Studios, Creature Effects – Patrick Tatopoulos, Production Design – Ricky Eyres. Production Company – Essential Films/Davis Film/Wandering Star Pictures/Cap Films/Epic Tales Limited/Czech Anglo Productions SRO. The year 1600. The mercenary captain Solomon Kane leads his men on a raid on a city in North Africa. There Solomon finds a trap waiting for him as he is confronted by the Devil’s Reaper, who has come to claim his soul, which is irredeemably damned for the sins he has committed. Solomon manages to make an escape. One year later, he hides at a monastery in England, having sworn to walk a narrow line of virtue to keep at bay the forces of darkness that seek to claim him. The abbott informs Solomon that it is time for him to leave. Reluctantly venturing out into the world, Solomon falls into the company of William Crowthorn and his family, Puritans on their way to America. They are attacked by the possessed soldiers of the masked Overlord, the servant of the sorcerer Malachi who has brought much of the land under his thrall. When the Overlord kills Crowthorn’s son, Solomon has to foreswear his vow of peace and kill to save the others, placing his soul in danger by doing so. The Overlord flees with Crowthorn’s daughter Meredith prisoner. Solomon sets out to free Meredith, slaughtering Malachi’s minions as they do everything they can to damn him. Solomon Kane was one of the creations of pulp writer Robert E. Howard, best known for having created Conan the Barbarian and Red Sonja. As with many of Robert E. Howard’s supplementary characters, Solomon Kane was essentially a variant on Conan – a tough and brutal character who instead of wandering a mythic prehistory battling monsters and the supernatural with a broadsword wandered the 16th/17th Century battling monsters and the supernatural with a sword and flintlock pistol. Solomon Kane appeared in nine short stories by Robert E. Howard beginning with Red Shadows (1928) published in Weird Tales. Howard left behind several fragments of other Solomon Kane stories and poems after his suicide and these have been completed by other authors. Conan had enjoyed great success in several Marvel Comics during the 1970s and 80s after which Solomon Kane was also adapted into appearances in several different comics as well. The film version of Solomon Kane enters into the big fantasy/sword-and-sorcery fad of the 00s, following the success of The Lord of the Rings trilogy and the Harry Potter films. This boom has also seen an interest in other Robert E. Howard properties with the revival of Conan in Conan the Barbarian (2011), as well as announced adaptations of Brak Mak Morn and a remake of Red Sonja. 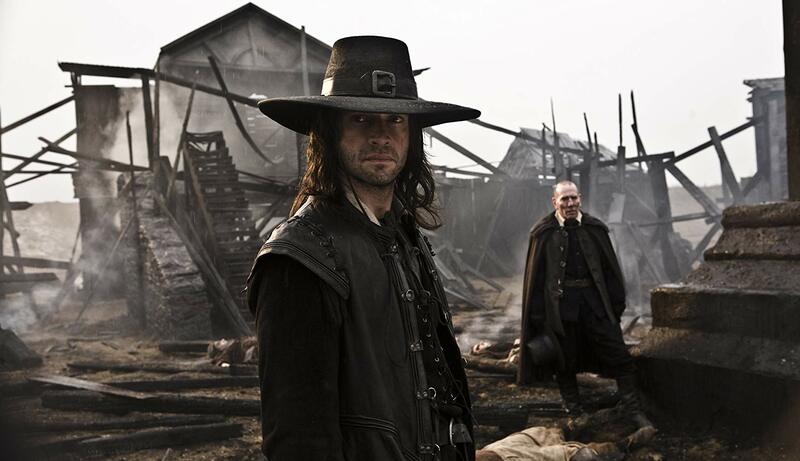 Solomon Kane comes from British director Michael J. Bassett who previously made the WWI supernatural film Deathwatch (2002), the fine barehands survival drama Wilderness (2006) and the subsequent Silent Hill: Revelation (2012). Michael J. Bassett creates a sword-and-sorcery film with a welcomely grim and hard edge. 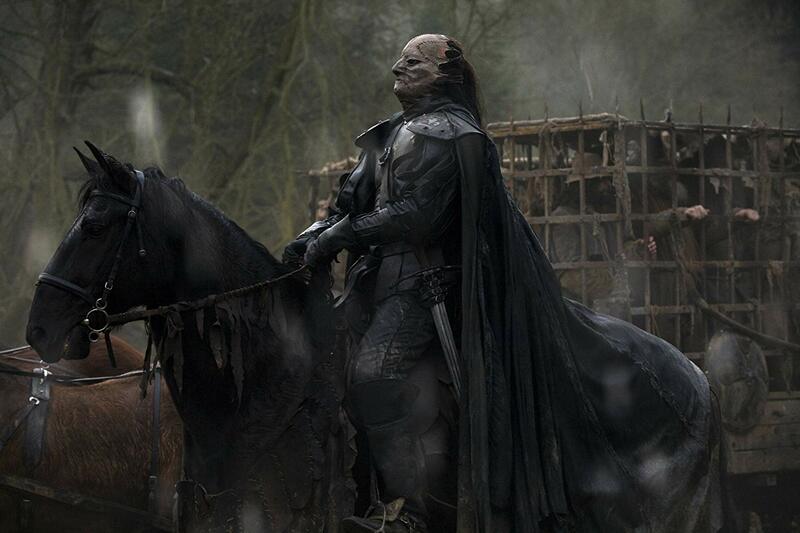 What makes Solomon Kane far stronger than many of its ilk is the fascination of the central character. I don’t think James Purefoy is quite the incarnation of Solomon Kane that Robert E. Howard created – he seems too aristocratic and handsomely well bred, not the burned-out and hollow character with piercing eyes that Howard distinctively describes. (He is also provided with a backstory he does not have in the Robert E. Howard stories about being the son of an aristocrat and the dark lord his brother). What does work is the strength of Solomon Kane’s character arc – the man who is damned by the sins he has committed, so much that the powers of darkness come hunting him, and decides to walk the path of Christian virtue so as to save his soul, only to realise he has to kill again to save others. There is a marvellous scene in the forest where the Overlord has a possessed soldier holding a knife at the boy (Patrick Hurd-Wood)’s throat and Purefoy begs that he will do anything, whereupon the Overlord tells him to kill the soldier, Purefoy hesitates and the boy’s throat is slit and he realises that he has to break his oath and risk damnation in order to save the others. Michael J. Bassett shoots most of the film in bare and frozen locations in the Czech Republic – almost all of the film takes place during snow-laden wintertime. The soldier of faith aspect frequently gets sidelined in favour of an emphasis on action set-pieces. On the other hand, there are some undeniably effective scenes – the aforementioned scene where James Purefoy must make his choice between saving lives and damnation; a scene where he encounters the strange priest Mackenzie Crook in the ruins of a church where Crook shows him a pit in the floor filled with zombies and introduces these as his flock and then throws James Purefoy in so that they can feast on him. Purefoy is also crucified at one point, which seems to be a standard fate to show the toughness of sword-and-sorcery heroes – see Conan the Barbarian (1982) and Lee Horsley in The Sword and the Sorcerer (1982). Other adaptations of Robert E. Howard’s works include:- Conan the Barbarian (1982) and Conan the Destroyer (1984), both starring Arnold Schwarzenegger; Red Sonja (1985), featuring Brigitte Nielsen as Howard’s larger-than-life female warrior; the animated tv series Conan the Adventurer (1992) and Conan and the Young Warriors (1994); Kull the Conqueror (1997) starring Kevin Sorbo; the short-lived live-action German-made tv series Conan (1998) starring Ralph Moeller; and Conan the Barbarian (2011) starring Jason Momoa. A portrait of Howard’s life is dramatised in the romantic film The Whole Wide World (1996).